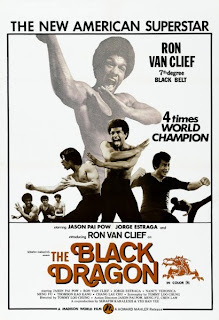 Master Ron Van Clief, the "Black Dragon" of karate and movie fame, is a gentle man who has worked with other incredible people, like Bruce Le, during his career that spans over 40 years. This remarkable karateka has competed in over 900 tournaments during his time in the martial arts tournament circuit; studied boxing; and earned over 12 different black belts during his martial arts career, including black belts in karate (goju-ryu and goju-kai), jiu-jitsu, judo, kung fu, muay thai, tae kwon do, and many more. 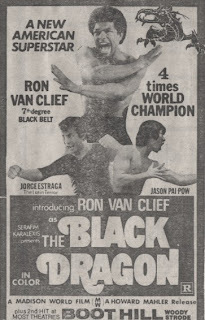 In fact, Ron Van Clief retired as a 5 time world karate/kungfu champion and 15 time all American champion. In 1994, at the age of 51, Ron Van Clief returned to the ring to fight in UFC 4 - the oldest competitor to fight in the UFC...still. His opponent? None other than Royce Gracie! He lost, but for Master Van Clief, it was all about the experience. Anyone who knows me will know how involved I am in promoting the proper level of training for MMA referees. Recently, Master Van Clief, who strongly supports training, educating and certification of MMA referees, went through my online MMA Referee Workshop and Training Class. Per a recent discussion I had with him: "Katrina - this is exactly what the sport needs to standardize everything! I am recommending several of my black belts take the course. Thanks again for everything; and for your assistance and help. Without you the sport will surely become total chaos; thanks again for a course that will really help the sport that we love so much! Ron"
All things considered, with his knowledge and life-long experience in the industry, it wasn’t a hard decision to ask Master Van Clief to complete an interview with me. Who better to talk to, in order get an understanding of the business side of MMA? Katrina Belcher: What do you think is the hardest thing for MMA fighters who want to go pro? RVC: To get the proper coach/trainers for a complete mixed martial arts regimen. A pro-fighter is part of a team. Katrina Belcher: What do you feel needs to change in MMA to make this sport better? RVC: Better refereeing and an international scoring system. Better referee/judge certification. Katrina Belcher: Do you recommend MMA fighters train just before a fight, or all the time? RVC: Training should be all the time! Just pumped up three months before competing. Katrina Belcher: Do you feel MMA will ever go mainstream? RVC: I think MMA will be more popular than baseball, boxing and football, eventually. Katrina Belcher: How is MMA in St. Thomas going? 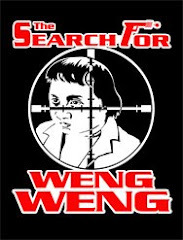 Any new news that we can report on there? Katrina Belcher: Did you get a chance to watch Aoki vs. Hirota at Dynamite!! 2009 and see that wicked arm break? What’s your take on the arm break, on Hirota not tapping, and on Aoki’s lack of sportsmanship? RVC: The arm break was a legitimate technique; Hirota should have tapped out Aoki showed a disrespectful attitude but it is understandable due to the stress of competition. I don't agree with it - but I do understand it. Katrina Belcher: What do you do when you’re not training – or training others? RVC: My three and one half year old son, Kai, takes up most of my time besides my workout ethic. Katrina Belcher: What does 2010 have in store for you next? Katrina Belcher: Any shoutouts to anyone or other information you want your fans to know about? RVC: Finishing a new book, INSTANT SELF DEFENSE. It will be printed in China in the very near future. Looking forward to the remake of “BLACK DRAGON”, which is in pre-production. Finally, I just casted for new reality series: “I AM” as host. Pretty cool! Katrina Belcher: By the time I got this interview ready for posting, I’d received an email from Master Van Clief with the following exciting information! So if you’re in St. Thomas – you must go visit and train with The Black Dragon MMA Club. I don’t know about you, but I’m excited to see the MMA fighting team that comes out of Master Van Clief’s training camp! So glad you liked my article enough to repost it! Master Ron Van Clief is most definitely a living legend.